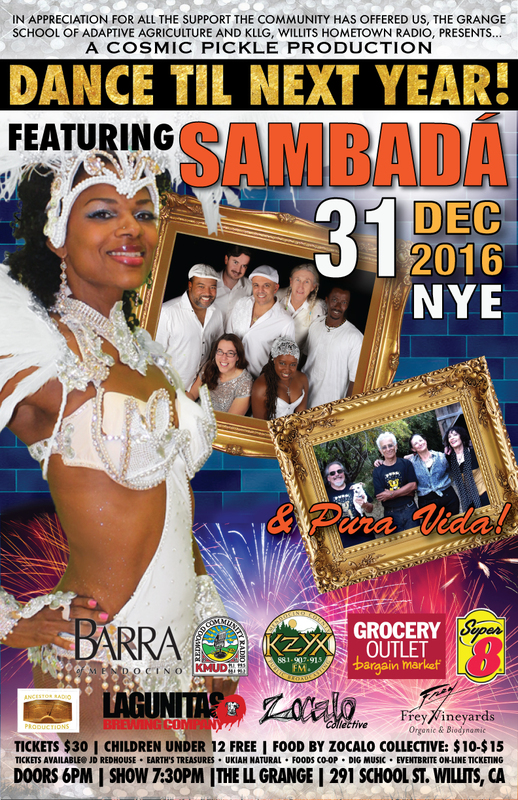 Dance in the New Year with SambaDá and Pura Vida! A benefit for the Grange School of Adaptive Agriculture and our local KLLG, low-power, FM radio, this is sure to be a great party! Pura Vida Orquesta is an 8-10 piece Latin band based out of the Pacific Northwest, Portland, OR. 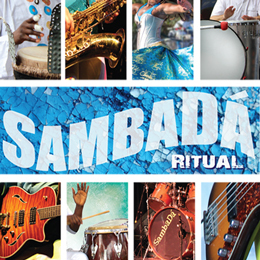 The band plays Salsa, Timba, Cumbia, Cha Cha Cha, Latin Jazz, Merengue, Bachata, and Latin Funk. Pura Vida Qrquesta has been a mainstay in the Portland Latin Music Scene and includes amazing musicians from diverse backgrounds. Dinner and drinks available for purchase. Tickets also available at JD Redhouse, Ukiah Natural Foods Co-op and Dig Music and Eventbright.